If you look closely on Saturday night, it will look like Venus and Jupiter are holding hands in the night sky. Due to an astronomical phenomenon known as a conjunction, the two planets will appear to be so close that they are touching. Despite their adjacent appearance, the two planets are still extremely far apart. Celestial objects (planets, stars, etc.) appear to move across the sky over time as they -- and Earth -- travel along the path of their orbits. 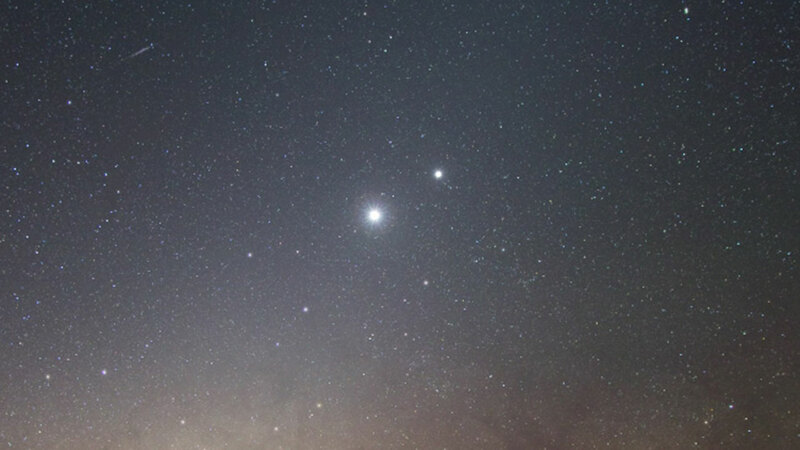 As NASA explains, conjunctions have no real "astronomical value," nor are they particularly rare; however, the Venus-Jupiter conjunction is more thrilling than most others because the two planets appear to be especially bright. Tonight's celestial event will be the final Venus-Jupiter conjunction for nearly 50 years.